The show comes fresh from six sell-out runs at the Edinburgh Fringe, a monthly residency in London’s West End and a BBC Radio 4 special to mark the bicentenary of Austen’s death. Previous ‘lost’ masterpieces have included Sixth Sense & Sensibility, Double 0 Darcy and Mansfield Shark, and no two shows are ever the same. 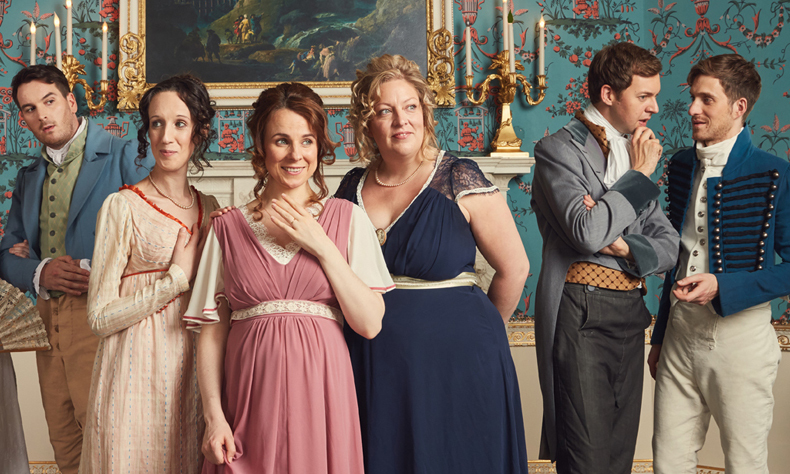 Performed in period costume with live musical accompaniment, this is a Regency treat guaranteed to delight Austen novices and die-hard fans alike. The group features the likes of JOSEPH MORPURGO, RACHEL PARRIS, GRAHAM DICKSON, CARIAD LLOYD and more.